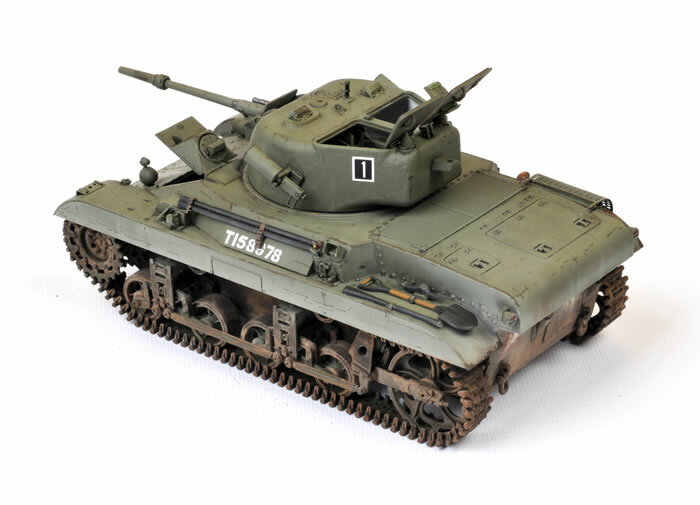 Here is my fifth completion for 2013 - Bronco's new 1/35 scale M22 Locust. 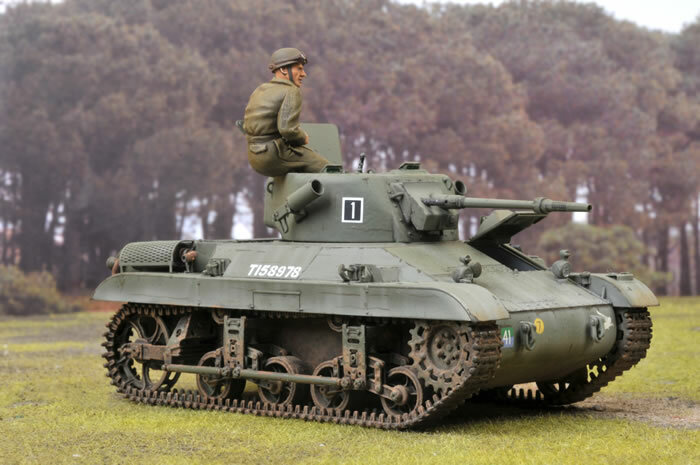 This is a lovely kit, with a basic interior and plenty of exterior detail. The parts count is smaller than most of Bronco's other recent releases but there are still many tiny plastic parts and the PE origami is guaranteed to drive you nuts, so it is best suited to the experienced modeller. The link-and-length tracks - a first for Bronco - are really well done and easy to fit though. 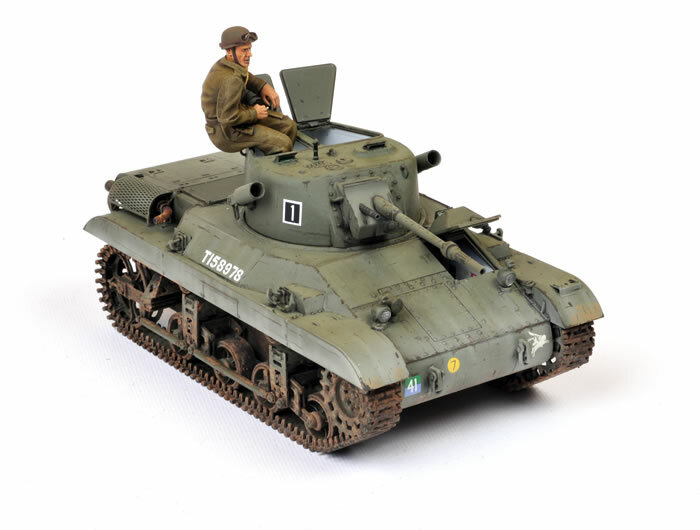 The only aftermarket addition is the Ultracast figure, which was included to show just how small this tank is. 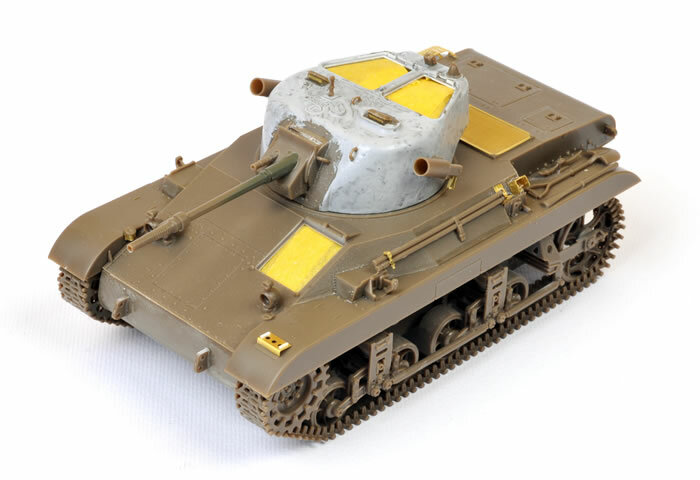 This model will be described in detail in Issue 85 of Model Military International magazine, along with a Think Tank reference article by Bruce Culver.